The Monkey Buddha: "It's Not Worth It"
On Reddit, I recently came across a link to this article about Linds Redding, a designer & art director who died from esophageal cancer in 2012. 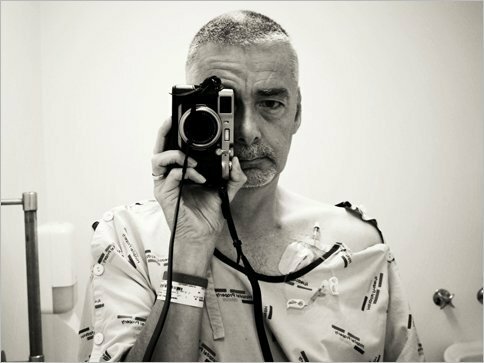 Redding wrote an essay reflecting on the time & work he put in with his ad agency, in light of his terminal illness. His conclusion was that personally connecting with people & family should be one's top priority. Some people are so fixated on success & their job that they don't make time to actually enjoy life. This resonated with me, because I am a graphic artist and have posted many times here about art & design. I don't feel like what I do is useless, but I also realize many of the products & packaging I create are ultimately disposable. One quote in the essay, by his typography teacher, stood out to me: "We are fillers of landfills." That is a pretty cynical view, but to some extent, true. Throughout my adult life I have been keenly aware of my own mortality and the transience of all human endeavor, including my own. I have entertained the question, "Why bother with anything, if no trace of it will exist in a billion years, anyway?" The only answer I can come up with is, "Because I am here, and I feel compelled to do so." Through the lens of impermanence, it's easy to question the relevancy of any commercial profession. I definitely don't think I'm "saving the world" with my professional work, as Redding put it. However, I truly enjoy it and can express a lot of creativity through the variety of projects we get. I've also spent time on plenty of my own art and other creative work, like this blog. I find any creative outlet immensely satisfying. I definitely try to keep a balance between my job, creating art, & my personal life. I think each person should question their existence every day, on both the personal & cosmic level. Doing so makes you aware of how little precious time you actually have in this life, and gives you the "perspective" that Linds Redding was trying to convey.